Block Pallets | Millwood Inc.
Wood block pallets are a durable, sustainable load unitization solution. Great for automated material handling processes, block pallets offer a true four-way entry, saving on overall transportation, storage and material handling space. Millwood is committed to delivering the perfect wood block pallet for your needs. In addition to offering an assortment of standard sizes, we are able to custom-build to specifications our unit load lab has deemed ideal; this means the best, most secure and cost-effective load every time. 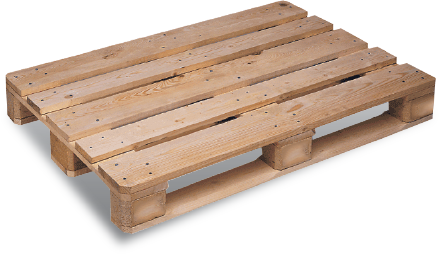 Wood Pallets: When we say pallets are at the heart of everything we do, we mean it. Millwood produces nearly 16 million new and recycled hardwood, softwood and composite material pallets each year. Alternative Pallets: In addition to new and used wood pallets, Millwood offers a complete line of alternative material pallets for niche applications. Alternative material pallets are designed and built to overcome the drawbacks of using traditional pallets for the storage and transportation of goods. Pallet Recycling: Millwood offers complete pallet recycling programs to retrieve, inspect, recover and remanufacture or repair pallets for customers who maintain their own pool of pallets. Our recycled pallet and recovery programs include green disposal processes that complement corporate sustainability initiatives. Learn more... Pallet View (i.e. Pallet Management) To get the most from your assets and reduce your supply chain costs, it is important to know what assets you own, where they are located and in what condition.